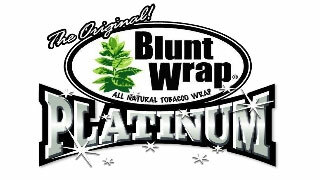 Blunt Wrap Double Platinum Cigars are known for being some of the most flavorful blunt wraps on the market today. The tobacco used in the manufacturing process has been specifically picked to promote a slow and enjoyable smoking experience. A long time favorite of the “roll your own” community they are packaged in 2 blunts per pack. The sealed foil packaging also ensures a fresh wrap every time that will never be stale or dry. Platinum Blunt wraps also come in a variety of delicious flavors that are sure to please. Whether you like fruity or sweet or something in between there is a flavor just for you. Sold in boxes of 15 packs of 2 you will always have your favorite flavor close at hand.